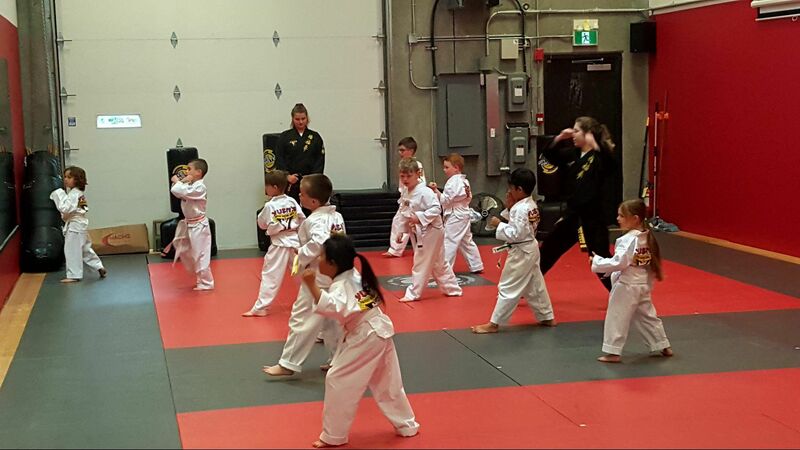 These programs are designed to meet the needs of our new Martial Artists, starting as young as 4 years old. These classes are fun and activity based as we work to develop these young champions in a high energy positive environment. Our goal is to have them love being involved, coming to class and participating. We are focused on caring and sharing, following directions and making simple decisions individually, with a partner and in a group. Often this is one of the first activities these children do without a parent so building their courage and self-confidence is critical. Children start as Junior’s as early as 6 ½ years of age, depending on maturity and skill level. Our Junior Program isn’t just kicking and punching; we also focus on social responsibility through their elementary and intermediate school years. Students learn to be leaders with responsibility, respect, integrity, self discipline, and many other character development skills. More specifically, this program focuses on listening, following instructions, working alone, with a partner and in teams. Sparring is optional at this level. Included is our Character Development Program which teaches the values of Respect, Discipline and Confidence. The students are expected to learn and recite our Student Creed in the beginning of class and our Student Oath at the end of our class reinforcing the tenets of Tae Kwon Do.